Thank you to Misty for giving me the Stylish Blogger Award. Misty has two fun blogs - Misty's Mornings and Bake Me Away. Please visit as I know you will be inspired! 1. I love SONIC Diet Coke... or SONIC Diet Cherry Limeade. I love the cup and the good ice. 2. 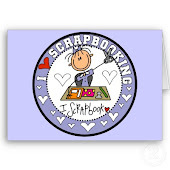 I love to scrapbook - have been scrapbooking for years. I haven't switched over to digital yet - just love doing the traditional cropping. 3. I taught high school for six years - business classes. Now I teach 3 year olds! 5. I am constant dieter - either dieting or gaining weight. Love to cook and eat :) I am not great at maintaining! 6. 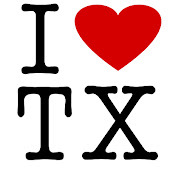 I love to shop -have 3 teenage daughters and a cute hubby so there is always someone to shop for. I enjoy decorating too. 7. I am a night-owl. I prefer to stay up late and sleep in - when I can! Congrats! And thank you for passing along the award!